Registration is open for all the events. Message us on our facebook page for any queries. 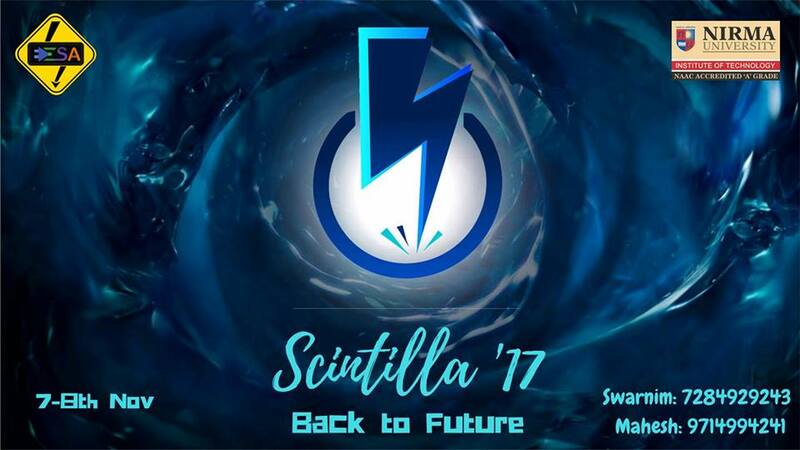 Scintilla’17 – is organised by Electrical Engineering Students Association (EESA) of Nirma University on 7th and 8th November, 2017. It includes various technical events, workshops, non-technical events like game of jobs, mind mapping, les quizerables etc.